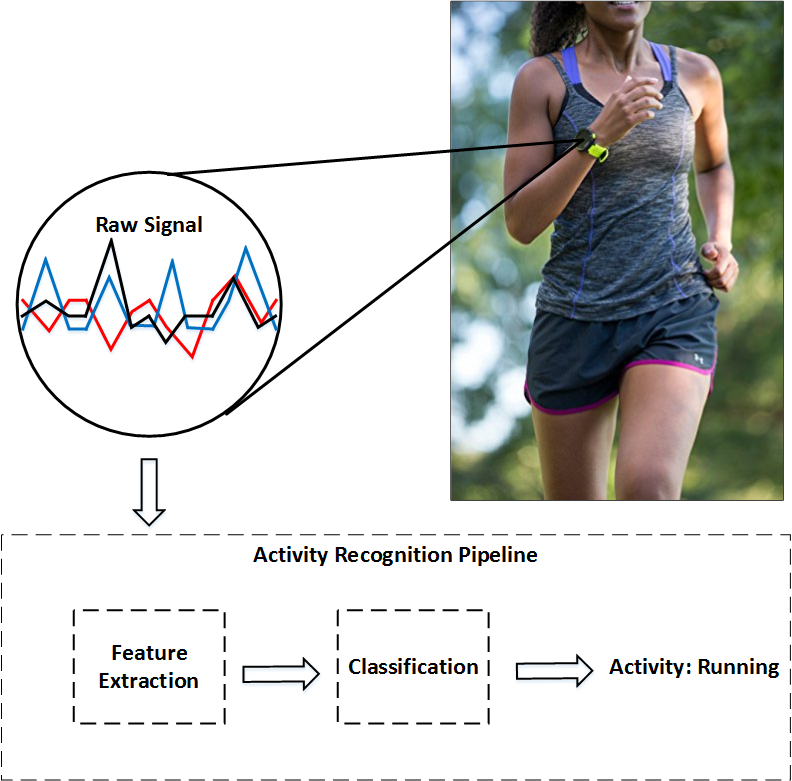 This page contains the source code and data used in our paper “Human Activity Recognition Based on Wearable Sensor Data: A Standardization of the State-of-the-Art“. In this paper, we implement and evaluate several state-of-the-art approaches, ranging from methods based on handcrafted features to convolutional neural networks. Also, we standardize a large number of datasets, which vary in terms of sampling rate, number of sensors, activities, and subjects. We implement and evaluate several state-of-the-art methods, summarized in the table below. Mean accuracy achieved by the methods using the Leave-One-Subject-Out (LOSO) as validation protocol. The symbol ‘x’ means that it was not possible to execute the method on the respective dataset.